Monsson is in full swing. August promises lots of splashes, bright days, cloudy days, coolness of rain, at the same time, whiffs of warmth due to humidity. Well, all this is fine, but what do your cards say this month? 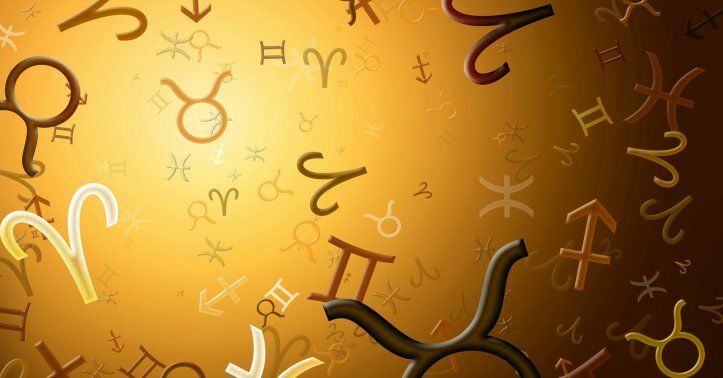 Read August 2018 horoscope and find out. This is a good month to be creative, trust your instincts, and follow through. The card shows that your interest and enthusiasm is growing towards your professional life. You have great potential for success if you stay firmly grounded. You’ll feel more optimistic than usual, and may consider new strategies and ideas with an open mind. This month also brings harmony in business as well as in your social relationships. Personally, this is the time for inner healing, as deeply buried wounds from the past can come to the surface. In outer situations and personal relationships, you need to let go and be open to what awaits you. Thereafter, you’ll see this time combining a concrete sense of possibility and responsibility for finding the best next step for yourself. So, stop feeling guilty. Give more time to the lighter aspects of life. Domestic travel or visit to hometown is on the cards. This is the month to achieve more than you think you can. The card in the August 2018 Horoscope attracts fresh and exciting energy in your work environment. You possess the tools of creativity and mystical energy. They instigate you to create a work of art or something beautiful or rare in your field of activity. Though, timing and control will be essential to get what you want. Your personal front looks stable. At this phase, you will realize that your close relationship needs re-evaluation. Whatever your thought is, only your inputs can make a difference. You will be inclined towards getting involved in a course of study; take up a new skill; learn new techniques or make an effort to improve your knowledge in preparation for a better future. Business trips will be rewarding and you will be able to generate financial inflow from a foreign nation. Associations in the US, the UK, or India can be beneficial. The month seems to be promising and productive. The card represents an independent person, overflowing with knowledge and essence. This will make others trust you. Highlights of the month are: achievements, rewards, promotions, and recognitions. There will be a time when you have to take responsibility and charge of a situation at your workplace. Express yourself with authority combined with humility. You will see others respecting your thoughts and ideas. Personally, your emotions are running deep and you may feel more alive than usual. It may be the beginning of a romance, a spiritual epiphany, or a desire to express yourself artistically. This is a time for emotional understanding, giving your support and love generously and unconditionally. Family get-togethers will create bonding. Those looking for a companion may meet someone very attractive at a social gathering. A short romantic trip is indicated. Bali, Sri Lanka, Goa can be ideal places. The beginning of the month makes your energies dip and you fee you have no one to confide in. The tarot card of August 2018 horoscope suggests setting clear boundaries with people who are simply using you. Confusion at the workplace will bother you, which can lead to mistrust, thus, making you more isolated. If you want to see progress in professional life, take a step back, rethink or create a new strategy. It’s time to take calculated risks but control reckless behaviors. Personally, addressing deeper emotional issues will be your prime focus. You need to concentrate on creating harmony in your relationships. Be aware of becoming dependent on material possessions. Take time to know a person before committing to a relationship. Meditation and yogic breathing will help to regain your center and develop your sense of inner peace. A peaceful getaway to the mountains will be rejuvenating. Try Dharamsala, Dehradun, or Sri Lanka. The mid of the month gives you strength to overcome any hurdles at the workplace and prepare to juggle with all the options. The card in the August 2018 Horoscope indicates a time of material security and happiness, and it often marks a time of financial gain. You’ll want to be independent and self-reliant, therefore, will avoid relying too much on others. Though cash inflow looks fine, you can expect expenses at the home front. Students, it’s time to achieve greater mastery of your talents! Personally, this month will make you noble and generous with family and friends as you share goodwill. Alternatively, a stabilizing force, perhaps a man or a woman, will have a positive influence over you for the better. They’ll offer wisdom and security and can give good advice. You can get a chance to travel to an absolutely new city or country. Enjoy the trip as it can open new arenas for work. The month brings you financial gains, but only after a bit of hard work and struggle. The tarot card says you may face some challenging situations at work, but if you handle it wisely, you can progress towards greater growth. The support you think you need at this time will have to come from your own confidence. Though delays are indicated, be open to take on diverse roles at work. Your love life will also take a turn for the better. If single, you may meet a potential partner and, if married, your bond will become stronger. You will be able to resolve differences eventually. Consequently, harmony will prevail again. Children can be a source of happiness. You’ll cherish receiving a gift from your sibling. Chances of traveling are bright as per August 2018 horoscope. You may have to represent your company or present a seminar outside your city. Chances in Dubai, Singapore, and Mumbai look bright. The month cautions you while lending money to others without legal paperwork. The tarot card in the August 2018 Horoscope brings in slight confusion this month. It will be a good idea to postpone any important decisions for a few weeks. Concentrate on your steps and karmas for now. Cards advise you to complete the project or work that has been dragging on for quite some time. Seek out advice regarding expansion of your business or buying new equipment or making any investments. In your personal life, you’ll soon recognize the strength and the ability to maintain order in the midst of chaos. Forgiveness towards a family member can become easy this month. Good news regarding conception may fill hearts with joy. If you are trying to make a decision, you will find a solution and it will be much easier to see another person’s point of view. If single, chances of meeting the right match are higher. The beginning of this month shows a flurry of clients, enhanced finances, and great partnerships. The card invites you on the path to success. Talents will be recognized; so don’t be afraid of showing what you can do and remember to stay confident no matter what. Contracts and negotiations will conclude favorably. The month indicates financial gains. It’s a good month to invest in property. On the domestic front, family life needs a bit of attention. There will be harmony between your desires and needs. You will be mentally and emotionally balanced. Couples who are finding it difficult to manage the relationship; this period invites you to embrace change and go with the flow. You’ll soon be ready and available to be healed so you can move into the future, healthier and whole-heartedly. Business trip to the UK or the US will be beneficial. The month whispers inner strength for you. The card indicates that it’s time to take a reality check on your progress. Entering into new agreements can be complicated during August. Be clear about what you are striving for and trust that your goals and dreams will be met. You have to be responsible and fair in your dealings with others. During this phase, you must stick to schedules, follow procedures, and do everything that is tried and tested. Personal life brings back the spark that you were waiting for. You can expect yourself to be happier, fun loving, and liberated from past doubts and fears. You’ll find yourself gregarious and socially inclined this month. The August 2018 horoscope says that someone, either a man or a woman, may help you work positively with your feelings. Travel is on cards, whether for work, a holiday, or for higher studies. The first few days of this month urges you to define the priorities at work as honestly as possible. The card in the August 2018 Horoscope suggests letting go of the things you cannot change and focus on what you want to achieve. Even if defining priorities seems to be too simple a task, you should still attend work with full awareness. You may get bored of the present scenario, hence, get motivated to switch careers. Think carefully and diligently before taking any step. Unexpected professional help will be available when needed. On the personal front, romantic fantasies may beckon from time to time. Midmonth, you find yourself immersed in and overflowing with emotions, receiving and giving more love. If in a relationship, this card indicates you are finding it difficult to elucidate your true intentions or feelings. Frequent business travel is predicted. Places near water will be beneficial like Chennai, Mumbai, New York. This month is all about facing your fears and moving ahead. The card wants you to practice moderation, especially in financial matters. This is a time to understand and let go of any professional enmity and opposition. Reconsider your solution and try to find one that will yield more satisfactory results. Difficulties that are aired now will be beneficial later. They will give you an opportunity to understand and correct a situation. You may want more creative freedom in your work, but those in control can be non-understanding. Personally, you will want to move in a certain direction but feel blocked by your own conditioning, traditions, perceptions, etc. It is essential to find a way to release your negative and pent-up energies. Sing, dance, or take therapy. Couples need to take care of commitments and promises they make to their mates. Successful short work trip is on the cards, according to August 2018 horoscope. Things are getting better and brighter this month. The card indicates a time of reckoning with regard to your work and career life. This is a time to be wise and analyze your current work situation carefully. Think twice before getting into a new job or a business because decisions that you take now will have long-term repercussions. Try to cut down on extra expenditures. This period can spell good fortune for the folks who are in politics, media, or education. In terms of your personal relationships, you may feel like spending more time with family. Hosting family get-togethers will give you pleasure. You will be creative and enthusiastic with an ability to transform people, situations, and atmosphere. Romantically, you may be surprised by a sudden flirtation or a romantic interlude. A business trip to Mumbai, Chennai, or Colombo can fetch you work, according to the cards of August 2018 Horoscope.